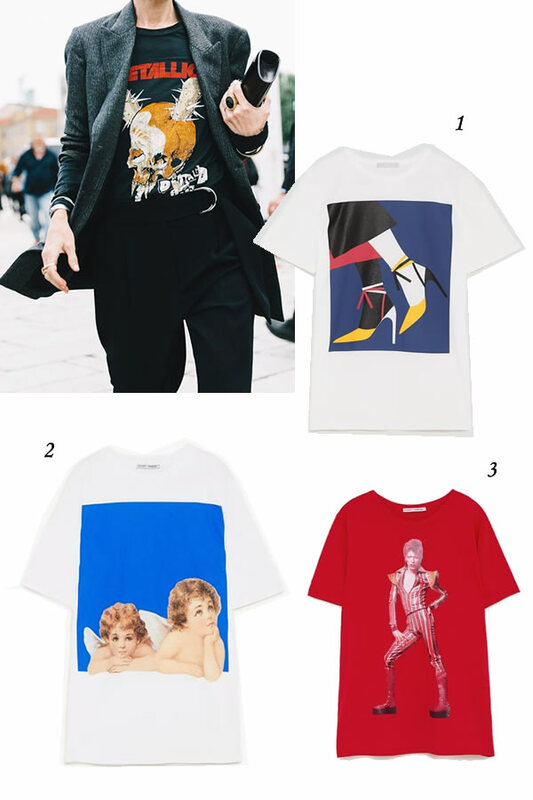 If last year the t-shirts trend was all about messages, sentences, or just strong words with some strong meaning, this year's trend are all about graphic t-shirts. I'm a HUGE t-shirt fan, I think the fact that a simple t-shirt has become a symbol of style was ones the most original and basic trends ever. As you know pick a t-shirt and mixed it with a blazer, a bomber jacket, a handbag or a stylish necklace and the look is ready to rock. It doesn’t mean you have put aside your t-shirts with cool sentences, but prints, colors and graphics are the next big thing. Therefore here you have 20 t-shirts for less than 20 euros! How many awesome looks cab you do with these ones? Don’t miss! Se o ano passado a tendência em t-shirts passava por mensagens, frases, ou apenas palavras fortes com algum sentido implícito, este ano a tendência são t-shirts gráficas. Eu sou uma adepta ferrenha de t-shirts, acho que o facto de uma simples t-shirt ter passado a ser símbolo de estilo foi das tendências mais originais e básicas de sempre. É facto assente que uma t-shirt conjugada com um blazer, um bomber jakect, uma mala ou um colar estiloso fazem maravilhas a qualquer look. Não quer dizer que coloques de parte as tuas t-shirt com frases cool mas os prints, as cores e o grafismo estão mesmo em alta para este ano. Por isso mesmo aqui tens 20 t-shirts todas a menos de 20 euros, é só escolher! Statement tees look so cool :) Great post! Hugs! Oooh, I think I like the idea of graphics. No more strong words! My fave in your selection has got to be numbers 10 and 20. Great trend and cool picks! Such a great post dear!! Love that inspo!! You share here the very best trends! Confesso que raramente uso t-shirts a menos que seja para ir fazer alguma caminhada ou assim, mas algumas das sugestões são muito giras. Great t-shirts, i specially love the last one, so cute! Gosto muito e tenho algumas no meu armário. Amoooo t-shirts! Mas sou fã mesmo das com frases hahah vou demorar a aderir essa nova moda! thank you for sharing these inspiring looks. I love these! Concert season is about to be upon yet (YES) and shirts like these always make the best outfits! Great post!! Lovely these shirts!! I liked this trend, the t-shirts are beautiful! 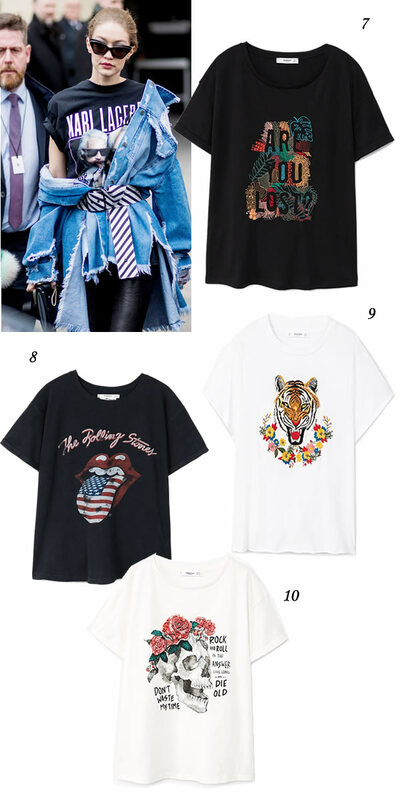 Love a cool tee that you can literally style so many ways!!! Isso é daquelas tendências que já usava antes de ser tendência, principalmente se forem t-shirts de bandas.